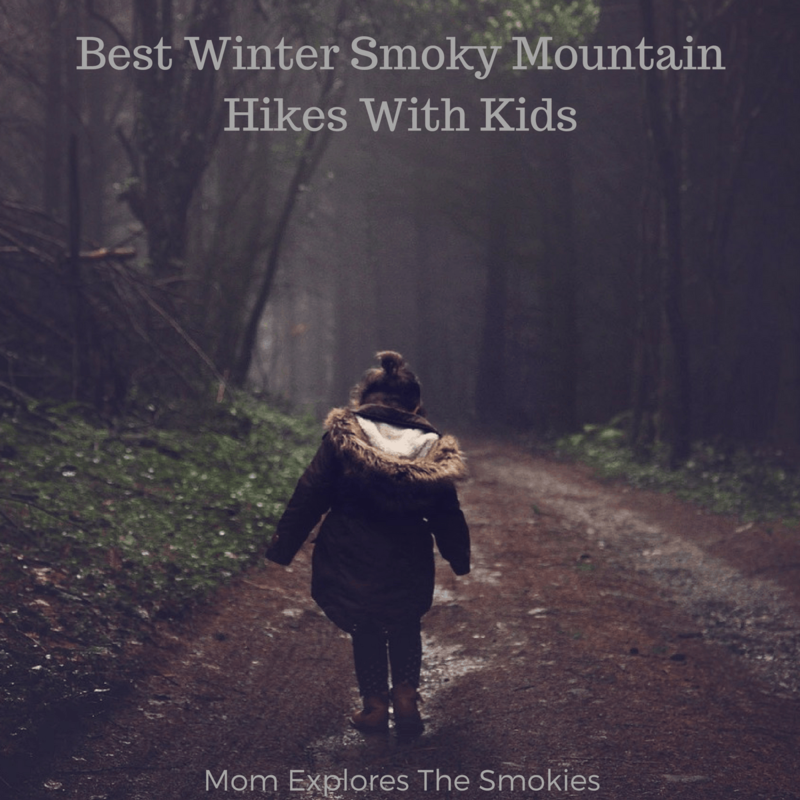 These family-friendly hikes in the Smoky Mountains are sure to delight! All of these hiking trails offer breathtaking views and an authentic nature experience, even when there’s a chill in the air! For both kids and adults, water proof hiking boots are a must. If feet get wet in the freezing cold you and/or your kids can wind up with frost bite and maybe even lose some toes. I’m pretty sure that’s not the type of memory you’re trying to make. When there is actually snow and/or ice on the ground, these hikes should be reserved for families with older or more mature children. You know your child best. If you feel they are unsteady on their feet or tend to horse around, save your winter hike for a day when the trails are clear. A first aid kit is not optional. Although it’s never really optional, winter weather brings increased fall hazards, especially for kids. Even when you’re taking a relaxing day-trip or vacation, it’s better to be safe than sorry. Smoky Mountain bears DO NOT hibernate. Please continue to be cautious because you can still have a winter encounter. Carrying bear mace is always a good idea. This short and sweet trail is the most popular hiking destination in all of Great Smoky Mountains National Park. This is due to the ease of the ascent and the the gorgeous waterfalls and natural pools at the end. There are also benches along the path for resting. Please note, this trail does have a steep drop-off on one side. This hiking trail is wide with an easy ascent. There are also no steep drop offs on either side, which makes it perfect for kids. Although there are no waterfalls or grand rock formations, this trails does follow a peaceful creek, which adds to the surrounding beauty. The lower elevation of this trail makes it an excellent location for winter hiking, because it is less effected by snow and ice. When many Smoky Mountain roads and trails, at higher elevations, are closed due to extreme weather conditions, Porters Creek Hiking Trail usually remains open. For any history buffs, this trail is home to a historic homestead and cemetery. The trail also ends at the gorgeous Fern Branch water fall. Don’t forget to check out our other awesome Smoky Mountain Adventures.